Nov. 3, 2014 11:00 p.m. Hearing that a six-year-old boy was left without a father after the Oct. 21 shooting of Cpl. Nathan Cirillo at the National War Memorial in Ottawa left many Noel Booth Elementary students upset. They wanted to reach out to his son Marcus. 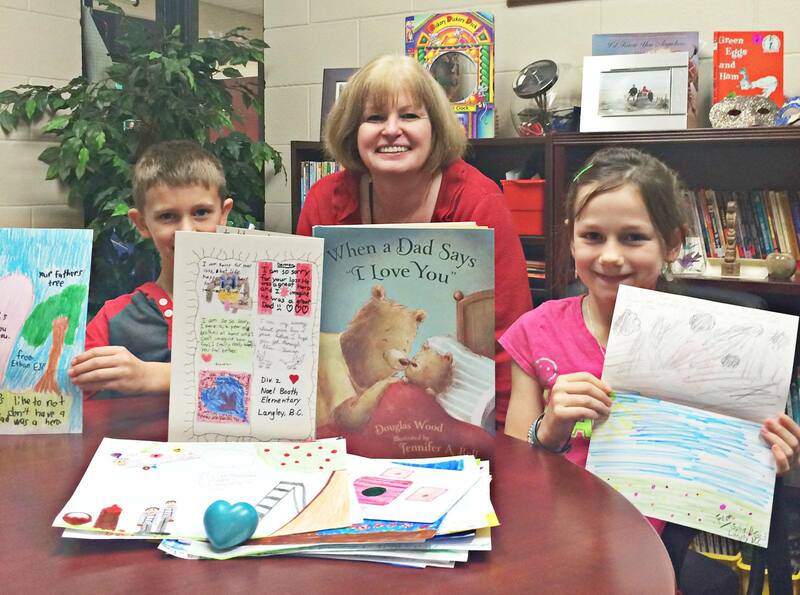 Principal Carol Osborne purchased a special picture book, called, When a Dad Says I Love You, by Douglas Wood. Students wrote cards and letters for him. Shown are Grade 3 students Ethan Pearson and Julia Dowle. â€œWe hope that knowing there are people on the other side of Canada who care about him will help him during this difficult time,â€ Osborne said.